The electronics department have advanced skills in the various domains of electronics. The department designs readout systems dedicated to the particles physics detectors specifications : low noise, low consumption, high dynamic range. We master amplification, shaping and digitalization of the signals. LAPP has a solid experience in radio frequency developments, particularly in filtering and modulation-demodulation (especially in the Virgo experiment). The agents design complex digital architectures, based on programmable components as FPGA, DSP or micro-controlers. They master their associated code languages (VHDL, Verilog...). They also master the tools for simulations, placing and routing. These efficient components allow to process the huge data rates from the detectors (ATLAS, LHCb, Virgo...). The department is expert in data formating, errors management, data processing as filtering or physics parameters calculation (particle energy reconstruction...). The department is expert in FPGA implementation : core integration (NIOS, DSP...), complex interfaces (ultra-high speed links, DDR memory, PCIe, Ethernet...). LAPP has managed for a long time Altera and Simplify software for IN2P3. The departement master the last standards as ATCA or PCIe. Some agents are specialized in microelectronics. 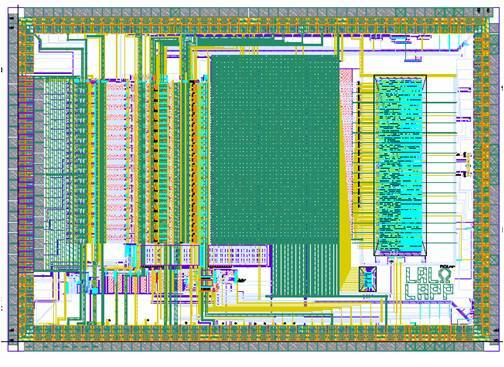 They design ASICS (Application Specific Integrated Circuit). These chips are mostly used for the detectors front-end readout. Their advantage are the low size and their low noise level. 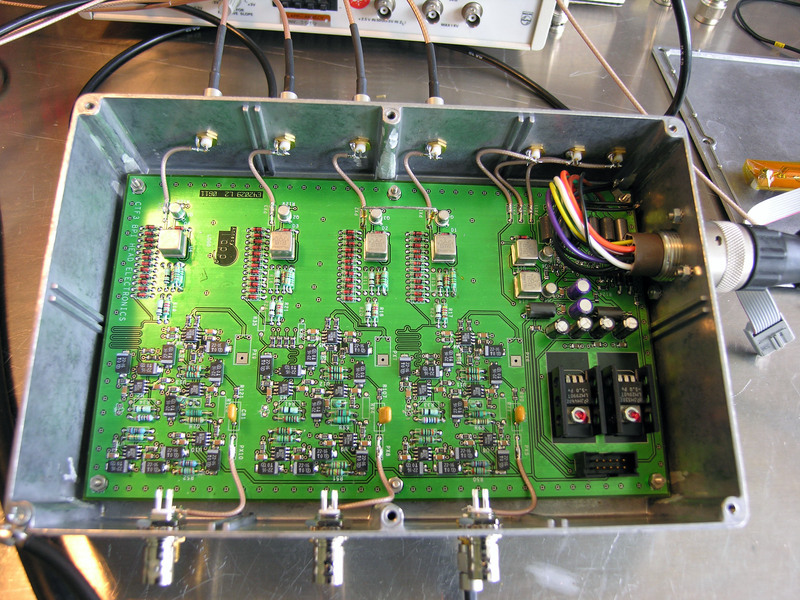 These experts developments allow a low sized functions integration and an affordable solution for applications that need a large number of readout channels, as a particle physics detector. Some chips technologies allow a radiation hardness, mandatory for systems close to the interaction point. The department design high-density multi-layer printed boards. 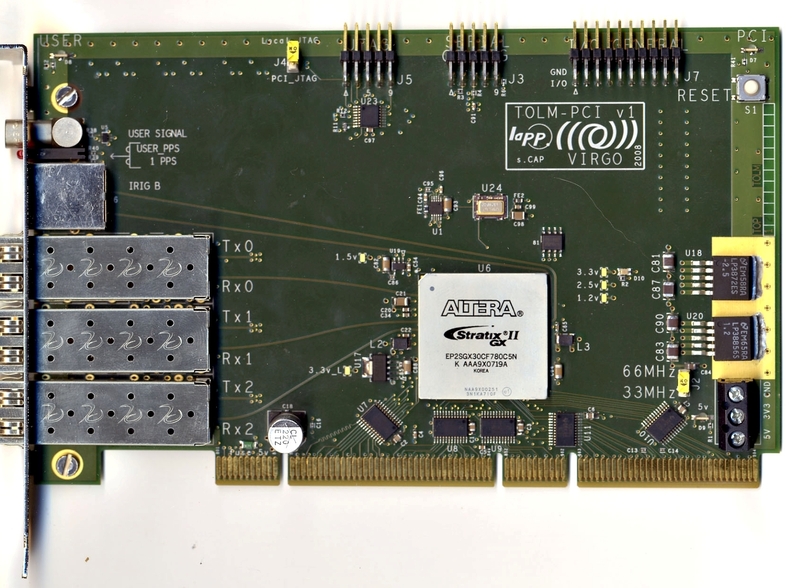 These boards include high speed signals and serial links up to 10 gigahertz. Components and technics used are often at the limit of the technology. The designers are particularly aware of the signal integrity and of the electromagnetics compatibility. The agents master the design tools (CAD) and have a large knowledge of manufactures processes. From prototyping to production, the electronics department works in collaboration with manufactures. It allows to take benefit from the best boards manufacturing technics (multi-layer, controled impedance, BGA cabling, laser holes...). Because of possible expensive productions, the department can use public market procedure. In collaboration with the software department, the electronics department develops specific test bench, mandatory to our systems. We install these systems on site and ensure the maintenance all along the experiment life time. The reliability of the systems is essential because the access is often rare. The agent develop standardized instrumentation systems for the experiments (OPCUA, Labview...). They also develop devices at the electronics-mechanics line, particularly for the experiments services. The department maintain the complex design tools. We have a milling machine for the double-sided printed boards manufacturing. It is very usefull for fast prototyping. We have a common soldering workshop and specialized tools.